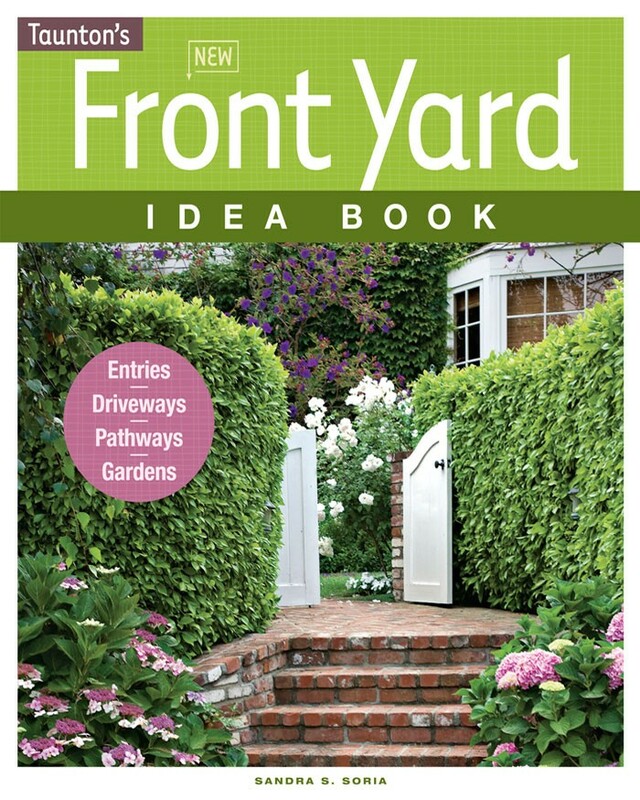 Mention the word “clay” to a gardener and you’ll likely get a grimace in return. 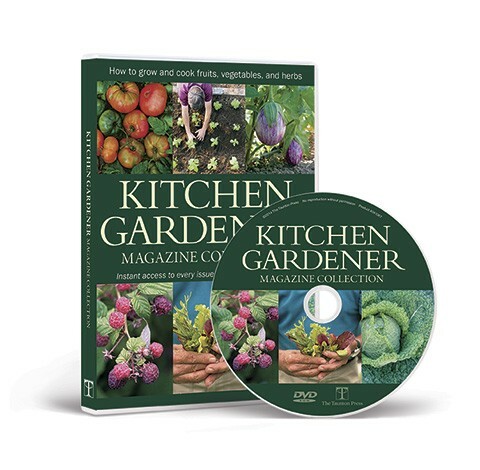 Gardening in clay soils—those that have a higher ratio of clay to silt, sand, or organic matter—isn’t exactly the kind of bliss most gardeners look forward to as they leave the house, tool bucket in hand, on a summer morning. 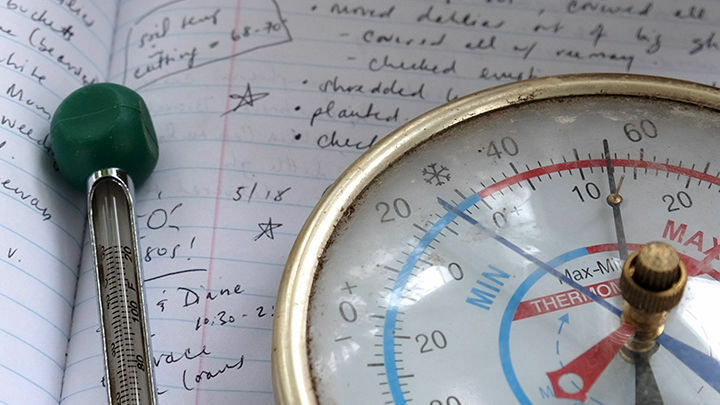 Too often, gardeners struggle with clay, feeling the urge to do battle against the soil instead of embracing the nature of the dirty world beneath their feet. 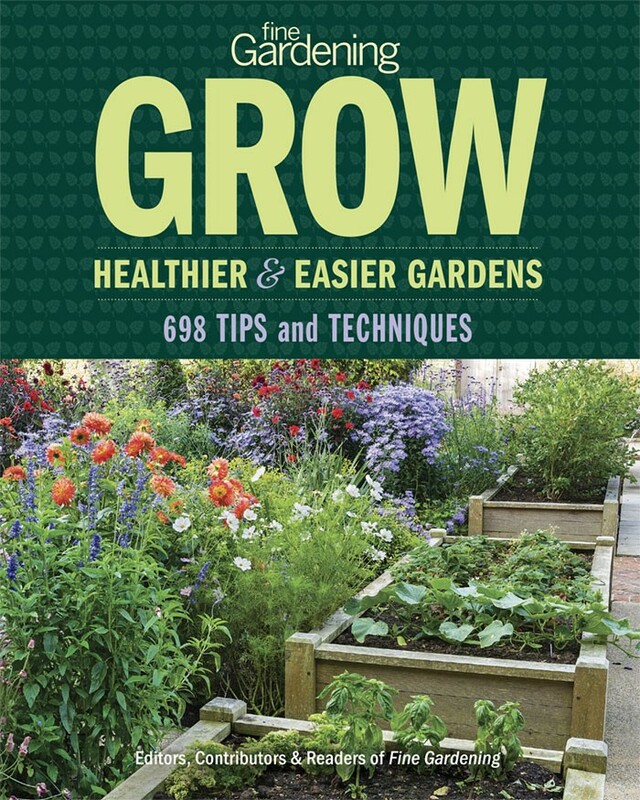 As many a gardener knows, clay soils become elastic, spongy, and slimy with the addition of water and, in drier periods, they turn firm, rigid, and sometimes powdery to the touch. 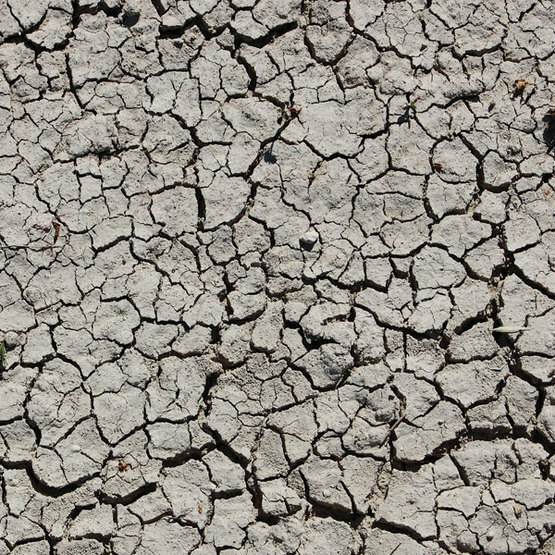 These properties of elasticity and shrinkage make clay minerals a desirable component of many friable soils—at least in moderation. 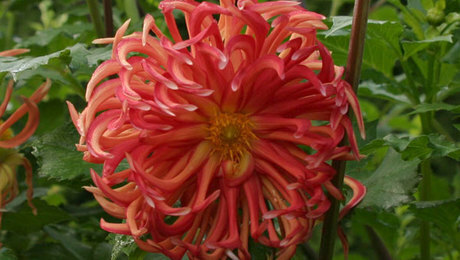 When clay is the predominant ingredient of your garden’s soil, however, it can reduce a tenacious gardener to tears. Clay soils are quite fertile, though their fertility decreases as climate and chemistry change them over time. 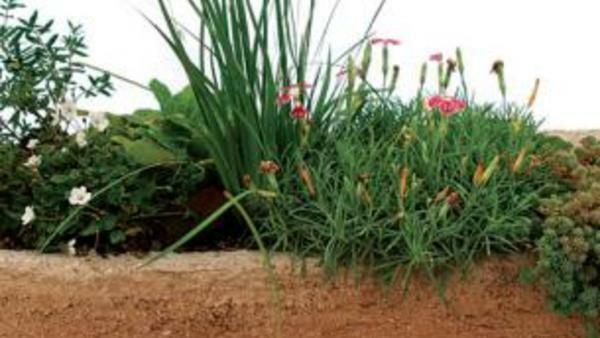 The seeming paradox—a highly fertile soil that seems to stress many plants that would otherwise grow in it—stems from the fact that many clay soils lack good structure. 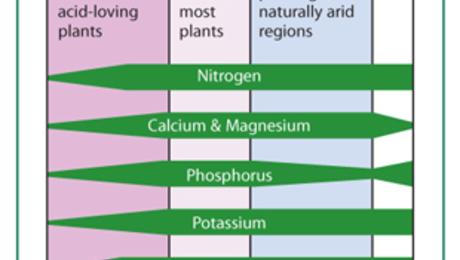 Poor soil structure results in less oxygen available to plants and their synergistic microorganisms, fewer physical crevices for roots to occupy, and a lack of ability to drain away excess water. Given these challenges, plants that thrive in clay soils have to be tough; they belong to the powder-puff league of the plant world, having to be both resilient and beautiful. 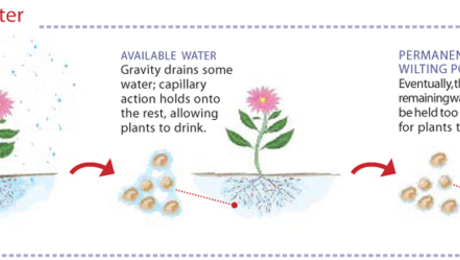 Biologically, these plants have adapted to low oxygen in their native soils; have developed structures, like taproots, to retain water and nutrients through stressful conditions; or have a natural penchant for waterlogged soils. 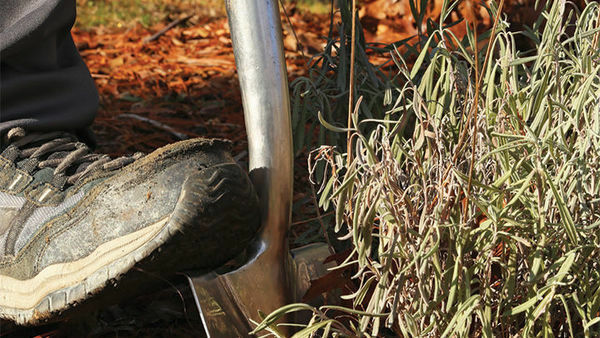 To invoke the Duke, these plants have true grit. 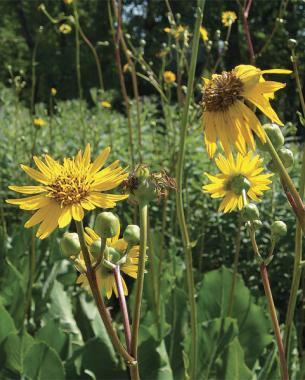 Towering above the prairie at upward of 10 feet tall at peak bloom, prairie dock (Silphium terebinthaceum) represents a genus of ruggedly durable plants with often profoundly deep root systems—the husky taproots of prairie dock can measure nearly as long as the flower stems are tall. 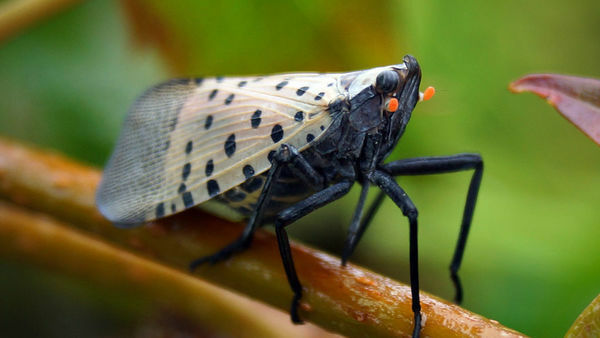 You’ll come to notice a theme among the plants on this list: For whatever reason, many species that thrive in clay also tolerate and occur natively across a range of dry soil and moisture conditions. In flower during hellishly hot July and August, prairie dock is an enviable pennant with widely spaced branches of yellow daisies. Staking? Don’t bother. These flower stalks might make tree saplings jealous, but they never push the boundaries of coarseness, in spite of their lumbering height. In my garden, I grow prairie dock in what I jokingly call “black clay,” the deceptively colored vein of soil that runs through my garden. To the eye, it looks like black gold; to the touch, it’s the stuff potters dream of. Calling prairie dock “striking” is an understatement. 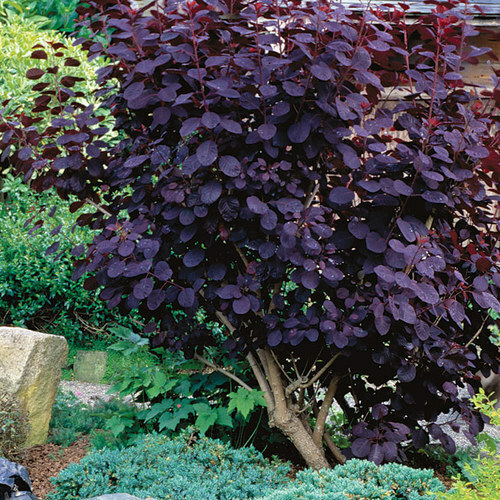 It not only is big but also has foliage that offers a dose of titanic texture, providing a handsome contrast to catmints (Nepeta spp. and cvs., Zones 3–8) and ninebarks (Physocarpus opulifolius and cvs., Zones 3–7) in its vicinity. Big bluestem. Photo/Illustration: Reggie Milette. Continuing with our perusal of plants in the big and tall department, big bluestem (Andropogon gerardii) measures up to be a perfect companion for prairie dock if you’re looking to contrast that wide jagged leaf with something finer on the same scale. Once the most common plant in North America, this denizen of the midcontinent is remarkably absent from modern gardens. 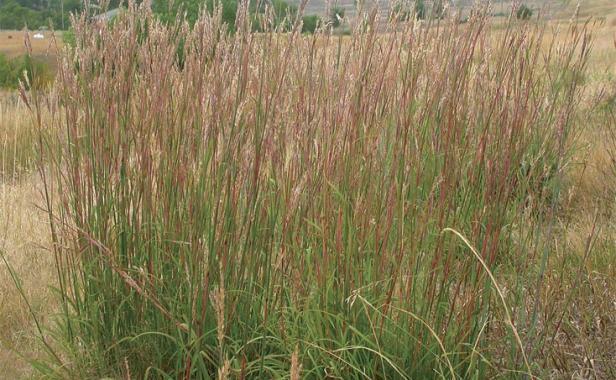 The prairies may have been rich troves of luscious soil, but planting native grasses, like big bluestem, in equivalently rich garden soil borders on the disastrous. In the absence of the root competition created by prairie-style plant density, this high-heeled diva quickly turns into a drunken slob, flailing around the garden and crashing into everything in its vicinity. Bomb sites have looked better. Stress it, instead, and plant it in clay. The plants don’t often stretch as tall—although they still reach nearly 5 or 6 feet—and they stay more compact at crown level. In this instance, a short row or small colony of big bluestem easily looks classier, if airier, than ‘Karl Foerster’ feather reed grass (Calamagrostis × acutiflora ‘Karl Foerster’, Zones 5–9) and does a number on the eyes in autumn. The fall color could be described as kaleidoscopic, varying from red to bronze to gold to orange. Perhaps overlooked or just disregarded, southern blue flag iris (Iris virginica and cvs.) deserves wider recognition as a plant that will thrive in everything from standing water to normal garden soil. 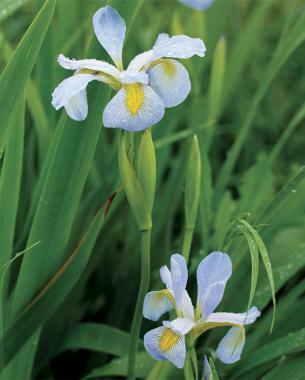 Native throughout the Midwest and Southeast, southern blue flag iris rounds out the garden in late spring just as the bearded iris fades, transitioning seasons in banner fashion. But forget about the flowers for a minute. Dial back the clock to the waking days of spring and you’ll happily encounter the emerging foliage seemingly lacquered in violet. 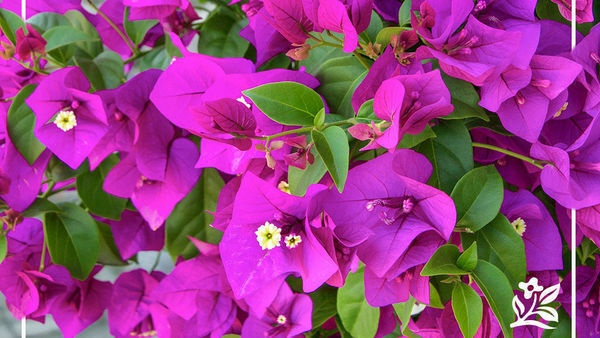 That foliage, though, does give way to flowers, ranging in color from lavender to violet and sometimes white. One of my favorite combinations in my own clay-packed garden is southern blue flag iris with giant coneflower (Rudbeckia maxima, Zones 4–8). Though not a plant for the stickiest of situations, purple milkweed (Asclepias purpurascens) grows across a remarkable range of moisture in the wild, inhabiting dry rocky glades and shaded lowland savannas where it often grows contentedly in some clay. 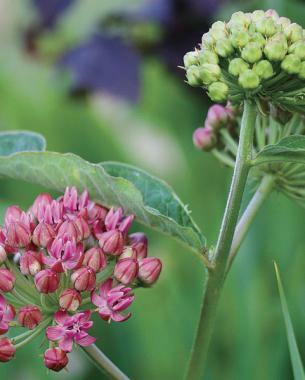 In the garden, it’s a plant that requires some patience, like all comely milkweeds. But while you’re being patient those few years or so, the roots of your purple milkweed mine themselves deep into the ground, establishing a dense taproot with a network of slightly woody rhizomes—all words you want to read in the description of a clay-busting plant. 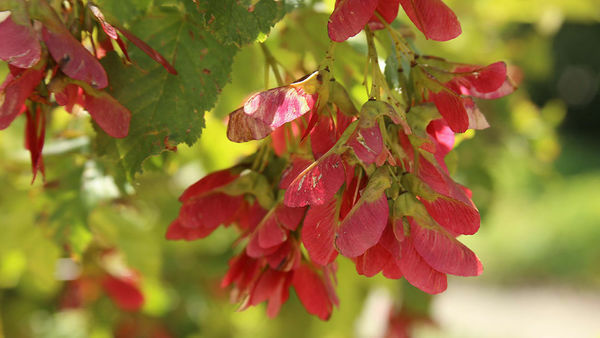 When finally established, the rewards—vibrant, rouge-colored flowers—will more than wipe away the angst and frustration felt in reaction to its seeming slowness. If you’re planting with fauna in mind, you’ll have the chance to observe a host of fritillaries and swallowtails visiting these resplendent flowers for nectar. Twilite Prairieblues™ false indigo. Photo/Illustration: Michelle Gervais. One of the most striking focal points of the spring garden, a three- or four-year-old clump of false indigo (Baptisia spp. and cvs., Zones 3–9) can stop traffic. 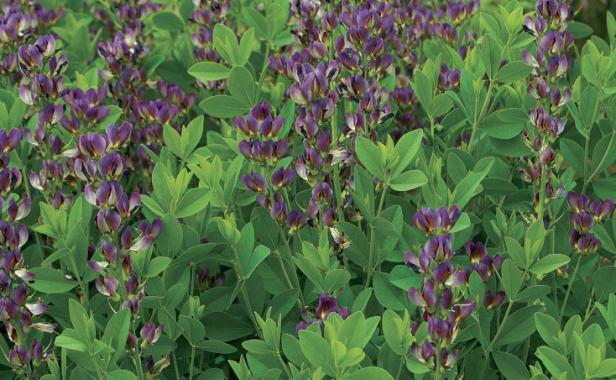 With several showy hybrids on the market like Twilite Prairieblues™ false indigo (Baptisia × variicolor ‘Twilite’), you can’t help but want to dot a few of these in the roughest soil you have in an act of warlike defiance. 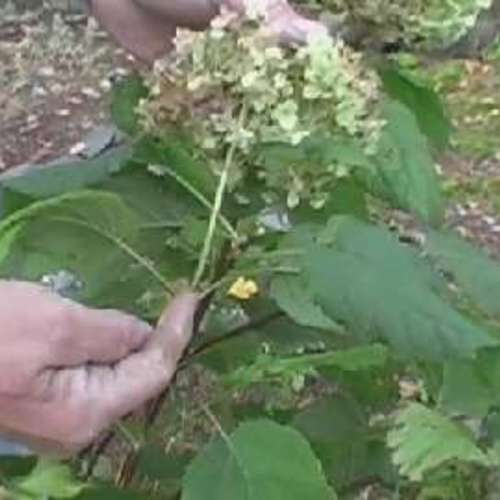 False indigos have notoriously deep and fleshy root systems, ably suiting them to clay soils but also making them fairly recalcitrant to division at any time of the year except early spring. Small machinery, teams of Sherpas, and archaeological permits may be necessary should you desire to relocate one older than a few years. The bottom line is that you need to site them carefully and permanently. In return, false indigos will reward you with hundreds of pealike flowers, spring after spring, for much longer than you can imagine, much less intend. Who doesn’t love a tough plant with values like commitment? 1. 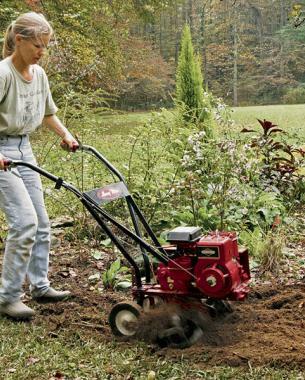 Add organic matter to improve texture Tilling in generous additions of compost (photo) or leaf mold will add texture and structure to your clay soil while aerating it and minimizing its potential for compaction. 2. Minimize traction Take care not to overtill or step on the soil after the addition of organic matter. While tillage itself is beneficial, the force and traction required by your tiller or you and your spade can further compact the soil and negate the benefits of your hard work. All things in moderation. 3. Reduce tillage over time Once you’ve started to build a healthier, more porous soil environment, let nature take its course. As you reduce tillage, the ratio of fungi to bacteria increases, earthworms increase in numbers, and the organic matter further increases to stabilize soil aggregates. 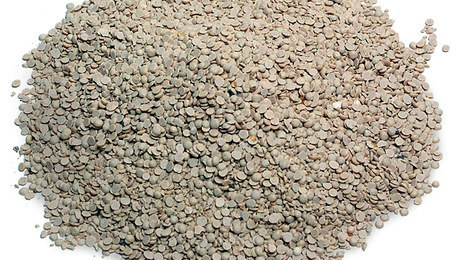 While it seems entirely logical to add other minerals and aggregates that would seemingly improve drainage, avoid the temptation to do so. These inorganic additions often exacerbate compaction, forming veritable clods of homemade cement. 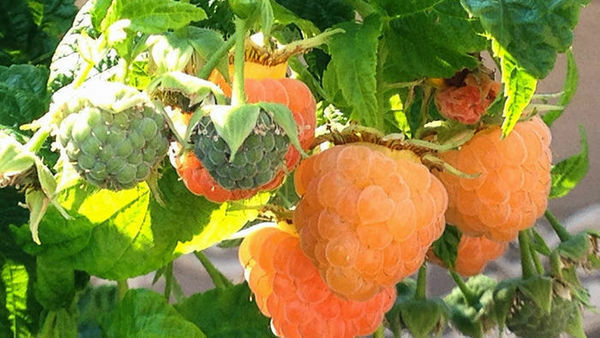 And without sufficient additions of organic matter, they can actually the slow the percolation of water through the soil profile—precisely the opposite of what you intended. While coreopsis (Coreopsis spp. 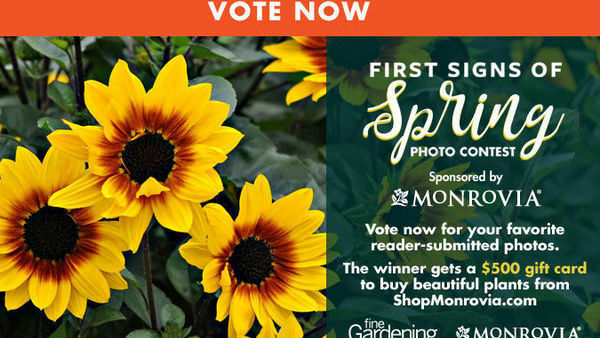 and cvs., Zones 4–9) is easily all the rage given a host of varieties with new colors and better rebloom, the one coreopsis that has so far failed to capture much limelight happens to be clay-happy Atlantic coreopsis (Coreopsis tripteris and cvs.). Growing up near remnant tracts of prairie, I grew accustomed to seeing this tallest of the tickseeds in the dog days of August, just as the landscape shifted gears from summer into fall. 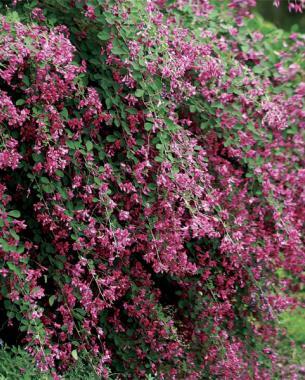 With smooth leaves and often standing defiantly against a tall backdrop of thicket, it enticed my senses. 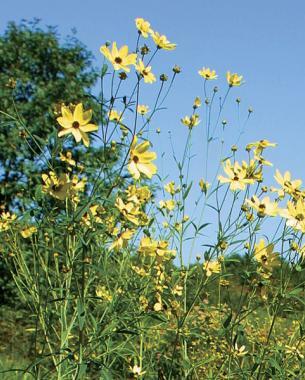 A 6-foot-tall coreopsis blooming in August and thriving in clay? How can anyone resist? Late summer and fall, while often overlooked by garden centers and many gardeners, amounts to the dessert of the gardening season, served up in ample proportions in fountains of ‘Samindare’ bush clover (Lespedeza thunbergii ‘Samindare’). This Asian native borders on being care-free, billowing from a dense crown in an annual ritual that borders on the phenomenal. Each undulating stem grows 5 to 6 feet long, becoming nearly woody, only to retreat back to the ground for its winter dormancy. 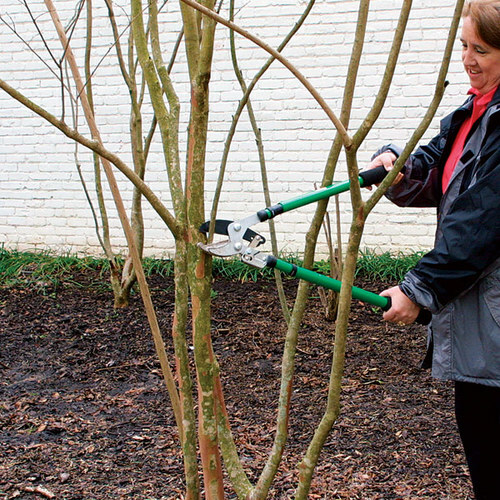 In spring, trim back these remnant canes within a foot or so of the crown and be patient as new stems, late to emerge, break dormancy and start the showcase again. 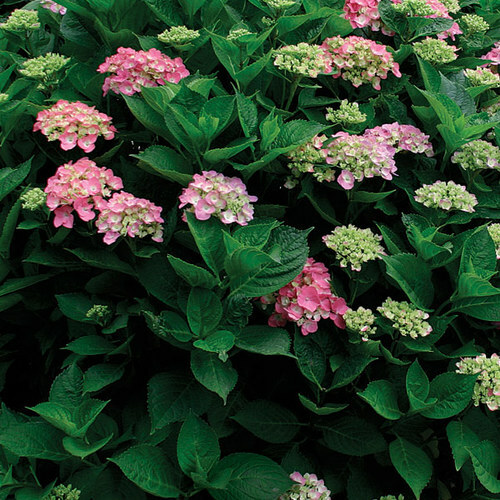 You’ll need to give ‘Samindare’ space to accommodate its proportions—ideally, in midborder if desiring a fall focal point, or in the back of the border where it can spill into its companions nearby. In my garden, the fuchsia-themed branches of ‘Samindare’ (and other cultivars like ‘Gibraltar’ and ‘Spilt Milk’) join cheery yellow choruses of sneezeweed (Helenium spp. 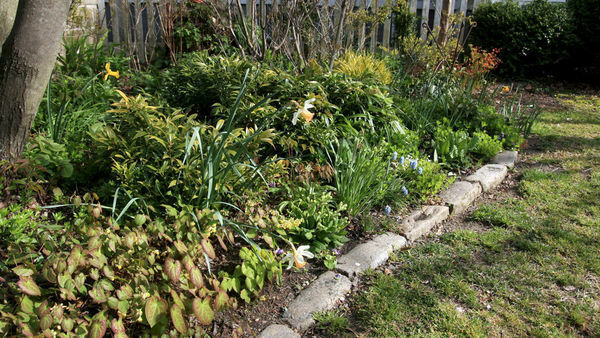 and cvs., Zones 4–8) against a backdrop of miscanthus (Miscanthus sinensis cvs., Zones 4–9), a vignette that would hardly seem possible knowing the direness of the soil below. 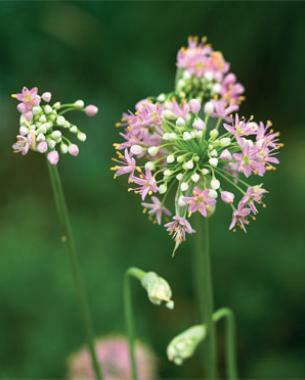 Autumn onion (Allium stellatum), flowering pink pincushions in late summer through its namesake season, bowls me over, singing when most onions have given up for the year and charmingly doing so even while growing in the cracking, rocky clay of my garden. By that time, it’s a diminutive complement to the asters and Maximilian sunflower (Helianthus maximiliani, Zones 4–9). Furthermore, if you’re warring with deer and other wildlife in your backyard, you have little to worry about when planting autumn onion; its astringent onion taste, which even some humans find distasteful, doesn’t rank high on the menu for foraging megafauna. Although they are available as bulbs, you can often find them potted for sale at nurseries in spring, or you can order them in fall from your favorite bulb supplier. Blazingstars (Liatris spp. and cvs., Zones 3–9) are a mixed lot when it comes to soil preferences—some love it wet, some love it dry, and some fall in between. 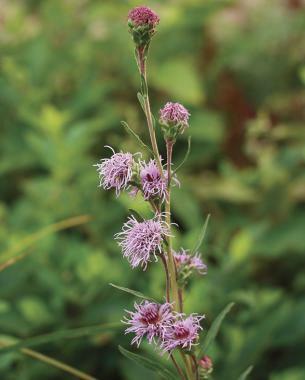 Rough blazingstar (Liatris aspera), while often cited as having a tendency to occur in dry soils, actually thrives in rocky clay soils that don’t stay waterlogged for long. Often occurring naturally along banks or washouts, rough blazingstar is an accent plant in the garden, best used as a highlight to carry on colorful conversations. 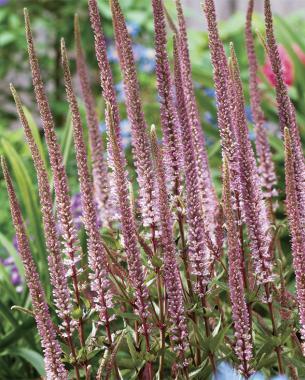 The knobby wandlike purple flower spikes of this plant look hip rocketing from behind ornamental grasses. Pollinators love them too, particularly butterflies, skippers, and long-tongued bees. Until recently, Culver’s root (Veronicastrum virginicum and cvs. 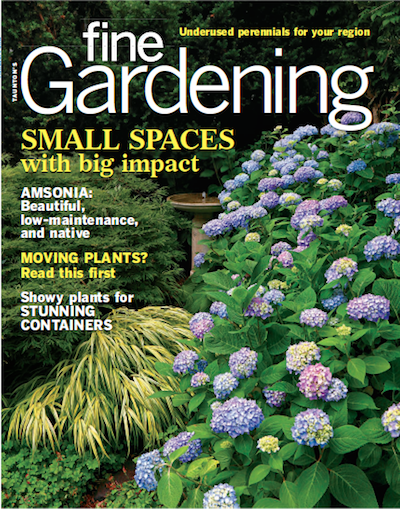 ), in spite of its many charms, didn’t have much to offer in a crowded plant market of blowsy standouts. But then came along the quartet of cultivars ‘Adoration’, ‘Apollo’, ‘Erica’ (pictured), and ‘Fascination’. These pink- and red-flowered babes quite frankly rock my socks off, though I still have a soft spot for the white-flowered native strains I encountered in roadside ditches on drives and walks around my rural homeland. 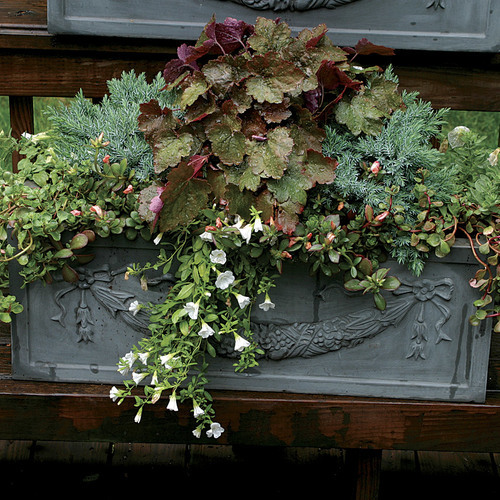 Stylistically, think architecture—the scaffolding that holds together the garden—when pondering how to use a clay-tolerant skyscraper like Culver’s root. 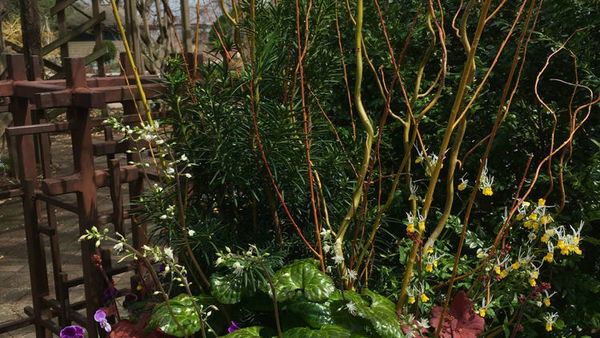 Tall plants like these, though not in flower until late summer, provide a solid foundation for shorter, clumping, and filling plants throughout the border. In my clay garden, I have Culver’s root interspersed with various midsize miscanthus and underplanted with ‘Sahin’s Early Flowerer’ sneezeweed (Helenium ‘Sahin’s Early Flowerer’, Zones 4–8), day­lilies (Hemerocallis spp. 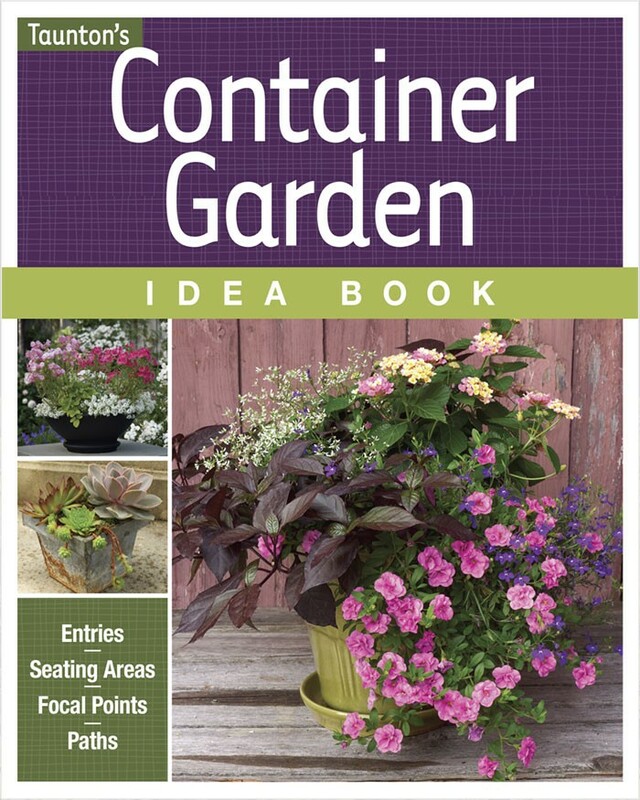 and cvs., Zones 3–10), and Korean burnet (Sanguisorba hakusanensis, Zones 6–9) for a headlining show of texture and whimsy. Even late in the season, beauty is amply possible in clay soils. Nice post. I'd get a kick exposed of the chance to stamp like this excessively attractive time and genuine diligent work to make a huge article. I am in all actuality content with article quality and direction. You can make use of this custom essay writing service( https://essayacademia.com ) paperwork for any sort of scholastic written work. Our on paper work benefit is having encountered specialists for making a wide variety of activities is capable way. You rock for conservation colossal stuff. I am extremely thanks to say that because it is more helpful to everyone.